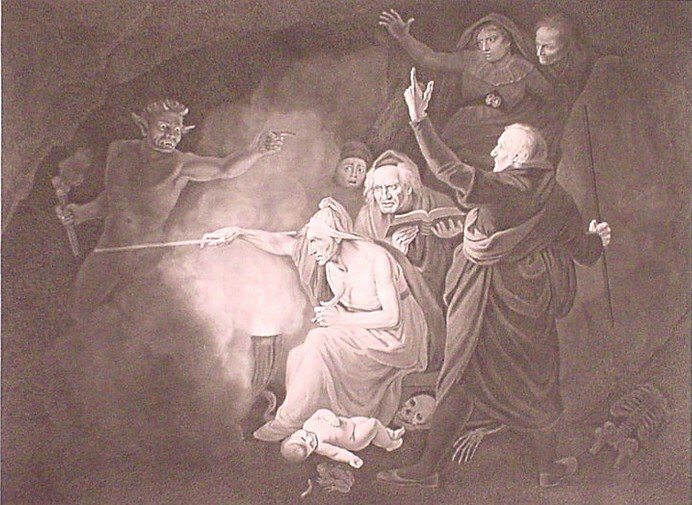 Abstract: Margery Jourdemayne, the ‘witch of Eye next Westminster’, Eleanor, duchess of Gloucester, and three scholars of the ducal household were foremost amongst those accused of treasonable witchcraft in 1441. The paper explores Margery’s part in this episode, and then examines her background: her husband William came from a prosperous Middlesex yeoman family living at Acton, and he himself was a manorial oﬃcial on Westminster Abbey’s Ebury (Eye) estate. Introduction: One of the most sensational episodes of the mid-fifteenth century was the trial for treasonable witchcraft of Eleanor, duchess of Gloucester. As the wife of a royal duke, Humphrey of Gloucester, uncle to the young Henry VI, she not only moved in the highest circles but, since the king was still unmarried, was also amongst the ﬁrst ladies in the land. In the summer and autumn of 1441 this scandal was probably the most widely-discussed issue in the country: all the fifteenth-century chronicles written in England, for example, mention it, as well as several ballad-writers. Yet the duchess did not stand alone before the courts since four others were accused with her. Three of these were clerics: Master Roger Bolingbroke, a well-known Oxford scholar and member of Duke Humphrey’s household who was Eleanor’s personal clerk, John Home, canon of Hereford and St Asaph, chaplain and one-time secretary to both Eleanor and her husband, and Master Thomas Southwell, a physician who was canon of St Stephen’s Chapel in the palace of Westminster, rector of St Stephen’s Walbrook, London and vicar of Ruislip, Middlesex. The fourth accused, however, was not only another woman, but one of much lower social standing, whom one chronicler describes as ‘Margery Jourdemayn otherwise callid the wycch of Eye, that dwellid nere unto Westmynster’. Who was Margery, what was her role in Eleanor’s fall, and what was her family background in ﬁfteenth-century Middlesex? Suche an inchauntresse, as that tyme had no peere.